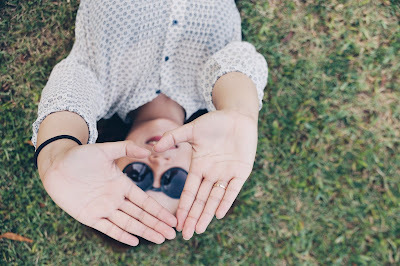 Get Ready for Spring--It's Coming! The theme for February's We're All Ears challenge is patchwork. Typically patchwork is associated with needlework in which small pieces of cloth in different designs, colors, or textures are sewn together. It is a medium that can be shaped and stitched beyond the traditional quilt square In the art world there are many new contemporary artists creating beautiful patchwork like Kit Vincent. Patchwork is not just limited to textiles and sewing. In fact there are examples found in nature. 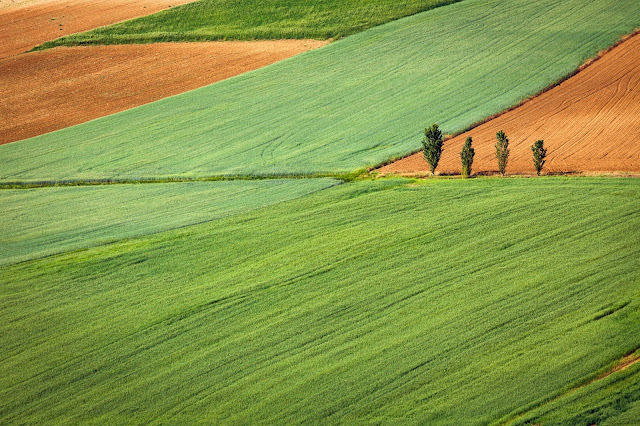 Just look at the patchwork created with a grassy field and dirt. 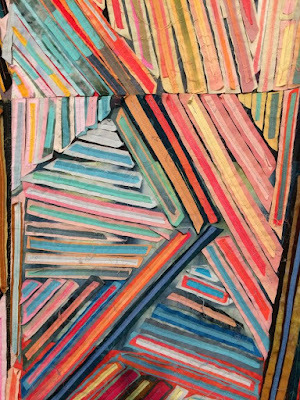 The challenge this month is to create by thinking more along the lines of color and pattern. It can be in whatever style or medium that you like; it is not restricted to fabric. I have been working with paper recently. In a past blog I described how I covered cigar boxes with lush scrapbook papers and turned them into keepsakes for my children. I also make handmade cards and I just finished this Valentine card prior to reading about this challenge. 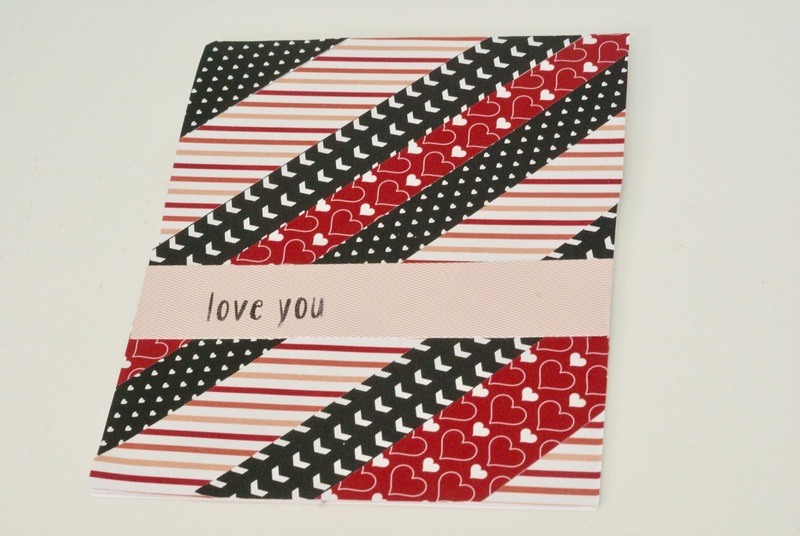 I used a technique which reminded me of patchwork when I made this Valentine card. So it wasn't much of a reach for me to decide to make earrings with paper, glue and a sealant. These are the patchwork earrings that I made. I started with the hearts. I drew 2 hearts on card stock and cut them out. I then selected paper by choosing colors and patterns. I had some heart patterned paper in red and white so that seemed a perfect choice. I layered card stock with patterned paper and used glue. 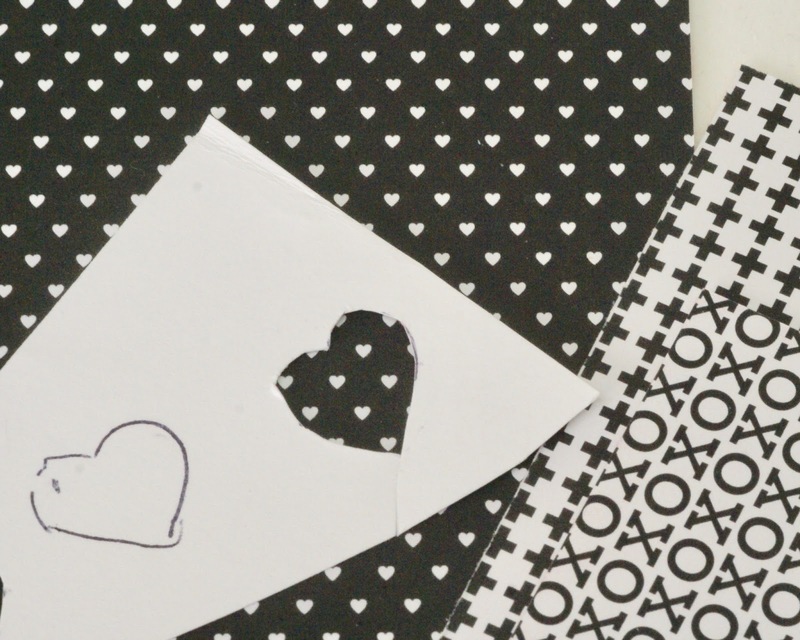 I then placed the hearts on card stock which had black and turquoise paper layered on it. There is a protective sealant on all surfaces. The earring components hang on silver plated kidney wires which have a few turquoise crystals added to them. The double-sided paper heart earrings are a perfect gift for a first anniversary, the paper anniversary. 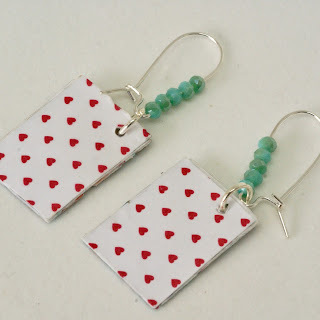 The red and turquoise paper jewelry are perfect for an eco-friendly gift. On the reverse side of the earrings the pattern is white with tiny red hearts. 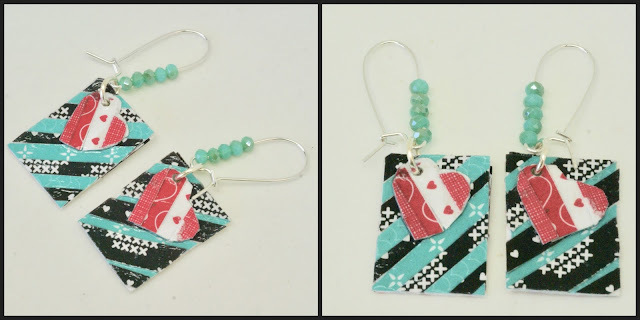 Someone who enjoys repurposed, ooak, unique earrings will love these. 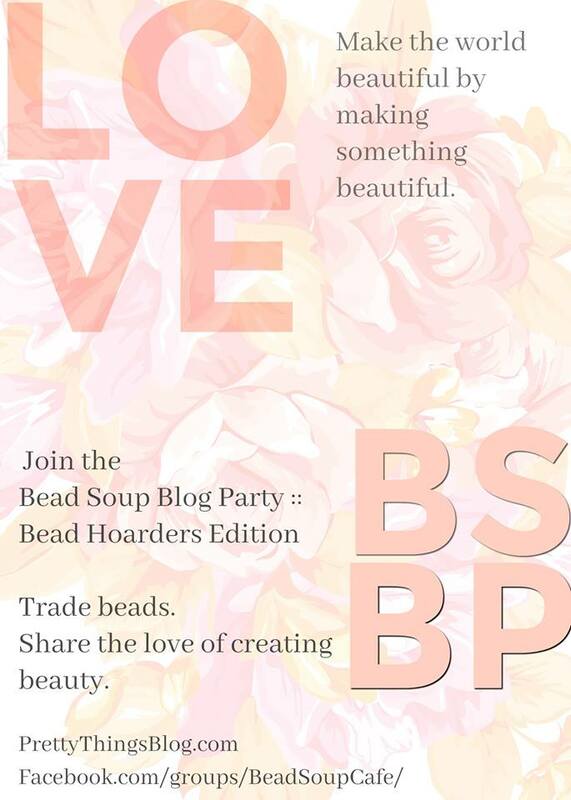 I am happy to say I am part of the Bead Soup Blog Party of 2017 which is sponsored by Lori Anderson. 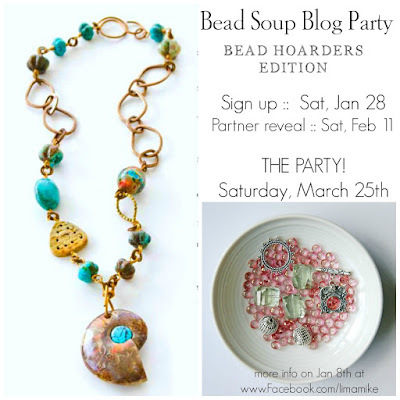 This is a special edition --a Bead Hoarders edition. Our instructions are to open our hearts to hope and beauty and true gift-giving. We are to send our partner something he or she will love and will brightening their day. The beads do not have to be expensive, but should be exceptional in some way. This is a blind trade. No discussion of colors, styles, etc. For this hop you don't need to send a clasp or co-ordinating beads. An interesting twist is that you need to send a note that tells who made the bead (if you know), the material (glass, clay, etc) or type of gemstone, and why you hoarded it. 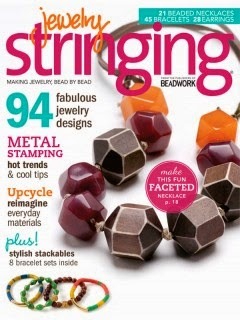 We only had a few days to mail our bead or beads to our partner. 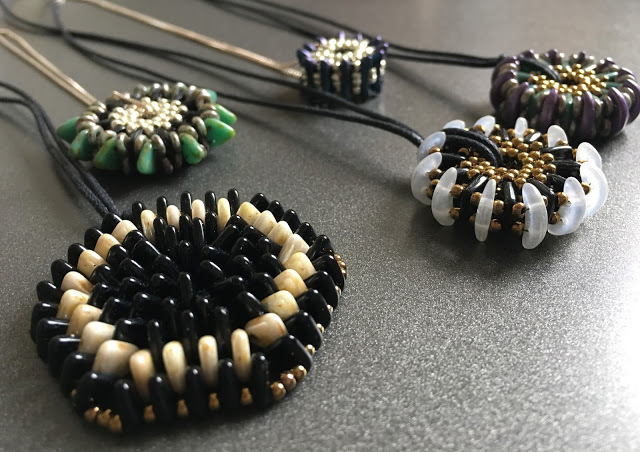 I spent some time this weekend poking around on the Internet to learn a little about my partner--Bobbie Rafferty of Beadsong Jewelry. 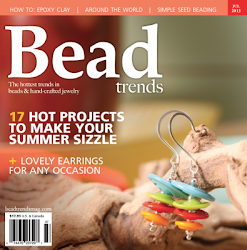 We have worked together before on as designers for ZnetShows Beads and our jewelry has been featured on their website and Creative Spark online magazines. Bobbie is predominantly self-taught. 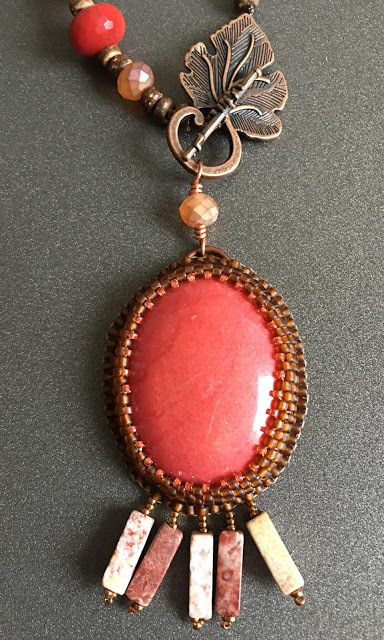 She works with semi-precious gemstones, glass seed beads, contemporary and vintage art glass, metals, fiber, and natural materials. Many of her pieces incorporate centuries-old beadweaving techniques - African ndebele and helix stitches, Native American peyote or gourd stitch, netting, embroidery, spiral weaves and others. She is what many of us call a "seed beader". She can weave thousands of tiny seed beads one at a time into complex works. 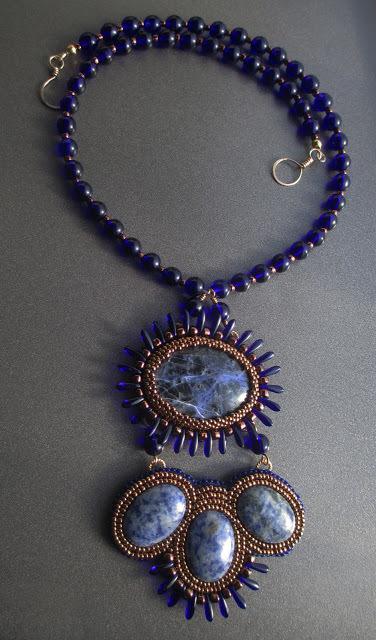 She also combines traditional fiber knotting and needle weaving into her jewelry as well. She shows her metalworking skills by creating hand fabricated clasps and other components that she makes from sterling silver or gold-filled wire. Bobbie grew up surrounded by creativity. She is from a family that now includes its third generation of professional musicians. Her life has been steeped in artistic interpretation, creation, and performance, and she designs jewelry as an outlet for creative expression. You can visit Bobbie on her blog at http://beadsong.blogspot.com/ to find out more about her and her unique on of a kind jewelry. 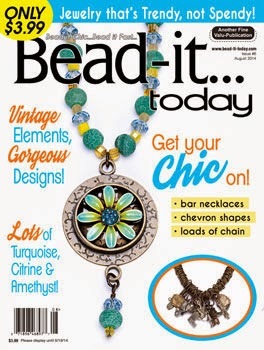 More of her jewelry can be seen and purchased on her website Beadsong Jewelry. 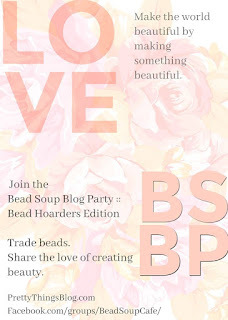 Visit both of our blogs on March 25 to see what we sent each other to work with and what we created. Thank you Lori Anderson for creating this Blog Hop. The February Art Bead Scene Challenge inspiration piece is The Two Crowns by Sir Frank Dicksee. I think we can all agree that it is a lush, detailed painting. 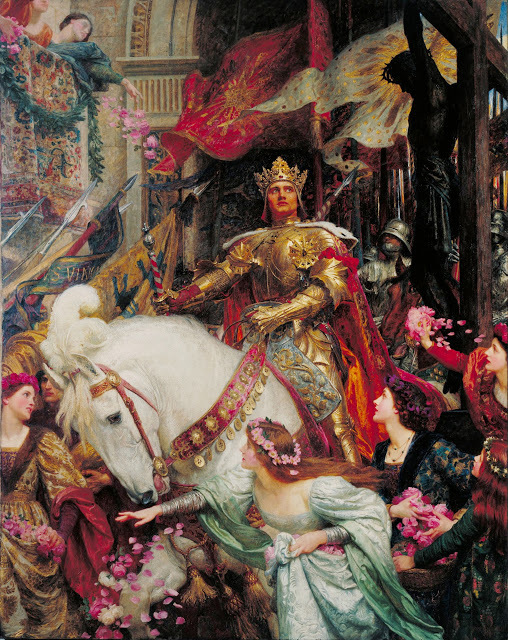 "In The Two Crowns Dicksee portrays an English medieval prince in opulent armor returning home in triumph on a white horse. He is wearing a golden crown as he gazes up at a crucifix. Christ's crown of thorns contrasting starkly with the jeweled headpiece of the prince. I have to say I was far more focused on the rich colors of the painting than the content. The lovely lady in a teal gown and pink flowers in her hair really adds to the beauty and romantic feel of the painting. The teal is repeated in a deeper shade on the dress of the lady above the prince. You see pinkish red on the cape of the prince and and on the clothes of some of the other ladies. The prince's armor is gold as well as the flag and another dress. 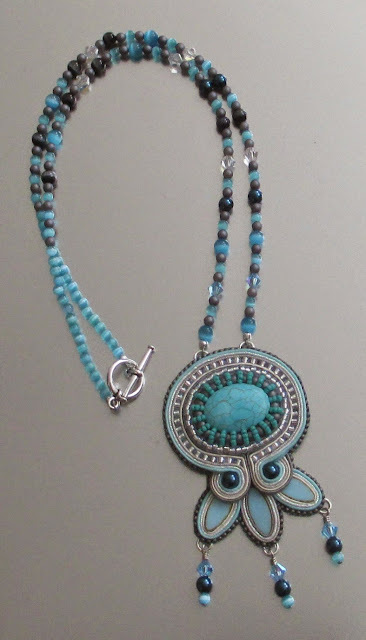 The pinkish red, teal and gold used in the painting are the colors that I selected for my necklace. I made a long necklace with a heart and a rose to give it a romantic look. 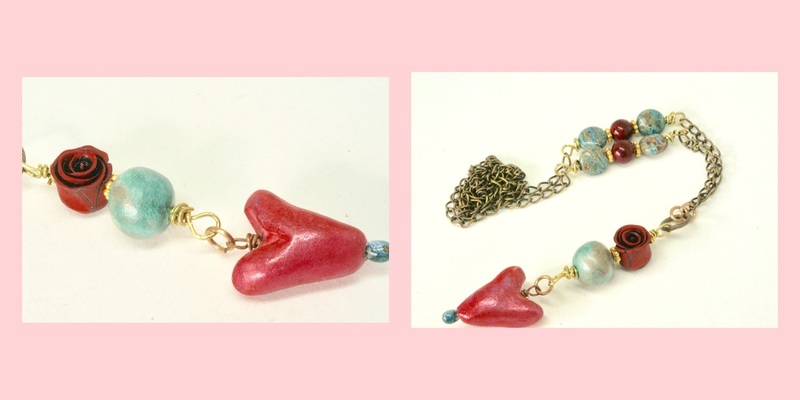 The rosy heart bead and teal polymer clay bead are by Brooke Bock and polymer clay red rose on a teal headpin is by Leah Curtis of Beady Eyed Bunny. I added some teal sky jasper and dyed quartzite ruby rounds to the golden bronze chain for a punch of color. The long chain necklace is 24 inches around. The pendant hangs 3.5 inches below. 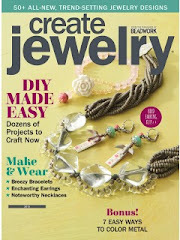 I think his is a great art necklace to give to someone who likes trending, long chain necklaces. The romantic look to it is also perfect for Valentine's Day or to add pop to an outfit. I am glad that this inspiration piece gave me an opportunity to use the pretty, polymer clay red heart. It also motivated me to use the romantic red rose. I am amazed that the rose made of polymer clay can be so life like. 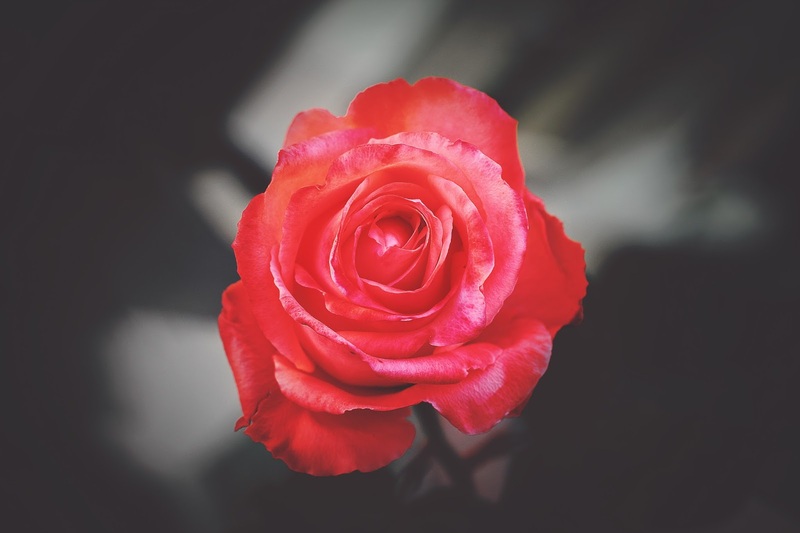 Who doesn't love hearts and roses on Valentine's Day?